On her first full-length record, Lissie surprised her newfound fan base by abandoning the endearing soft folk from her breakout E.P. Why You Runnin’ in favor of Catching A Tiger’s cleaner, loud pop. Back To Forever, the Illinois singer’s follow-up to her 2010 debut, further embraces the singer’s well-designed blend of pop rock. 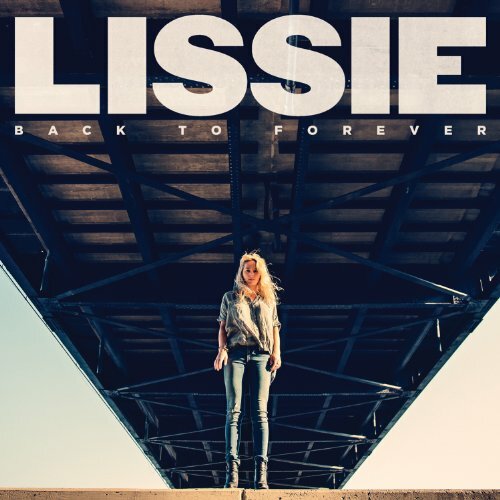 The best songs on Back To Forever expand on Lissie’s knack for infectious hooks and fine-tuned song craft. The one-two pop punch of “Sleepwalking” and “I Don’t Want To Go To Work,” two of the finest songs Lissie’s written to date, form the record’s backbone. Back To Forever’s greatest strength is its own fun. The album, front-loaded with two dance-leaning tracks “The Habit” and “Further Away (Romance Police),” is less guarded and unsure of itself than Catching A Tiger. As a result, the most purely pop moments, more confident and convincing this time around, provide the biggest payoffs. For fans of her earliest work, Back To Forever will be a final nail in the coffin for Lissie, who seems utterly uninterested in fleshing out the delicate, sensitive ballads that attracted many to the singer in the first place. Indeed, the quiet songs on Back To Forever tend to be the more forgettable ones. But Lissie’s latest record, one the year’s most consistent, sprightly indie-pop albums, is a well-rounded introduction to the young singer.